This is a PowerPoint to introduce students to the past of GO. 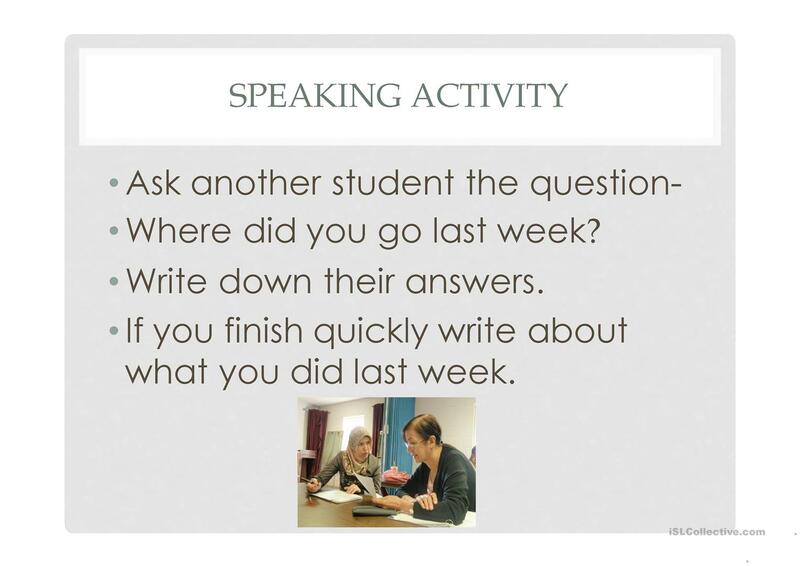 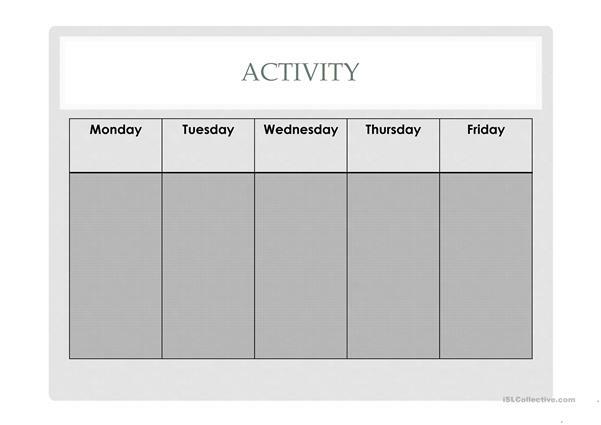 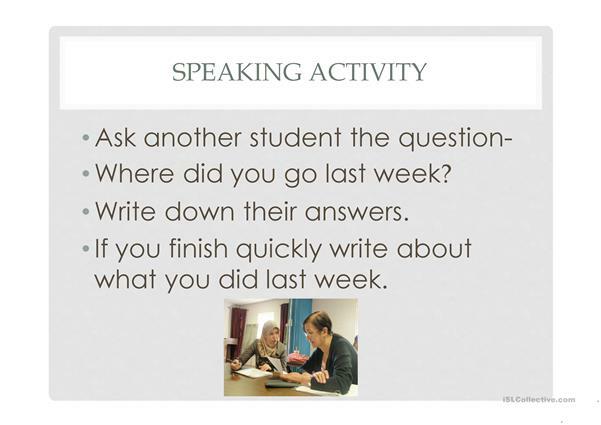 it includes- a pair work speaking activity and a writing activity. 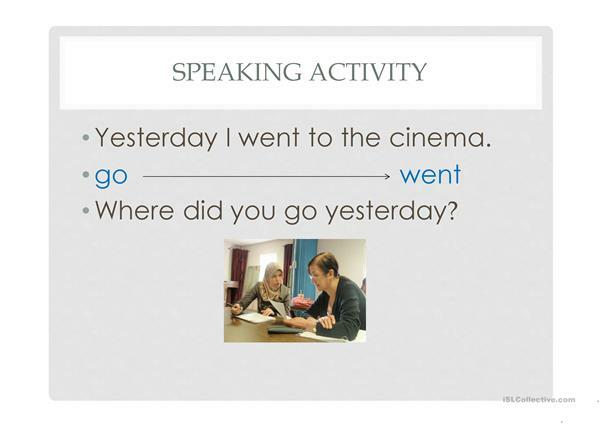 The above downloadable teaching material is meant for adults at Beginner (pre-A1) level. 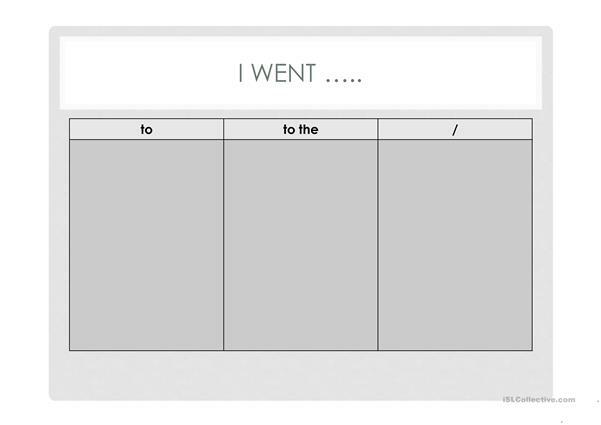 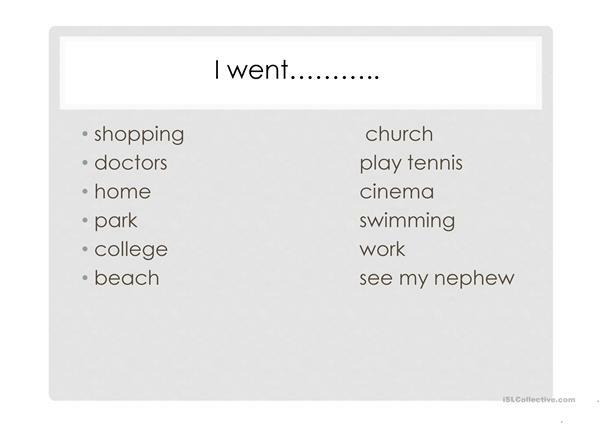 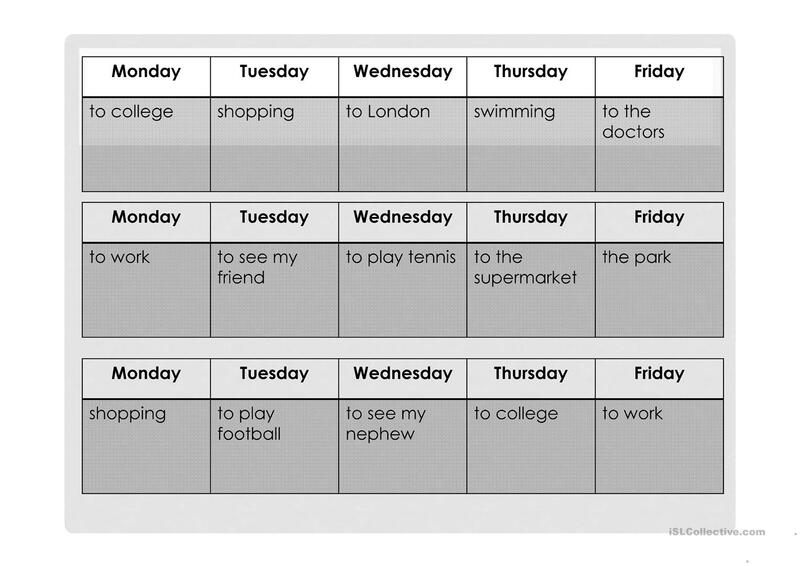 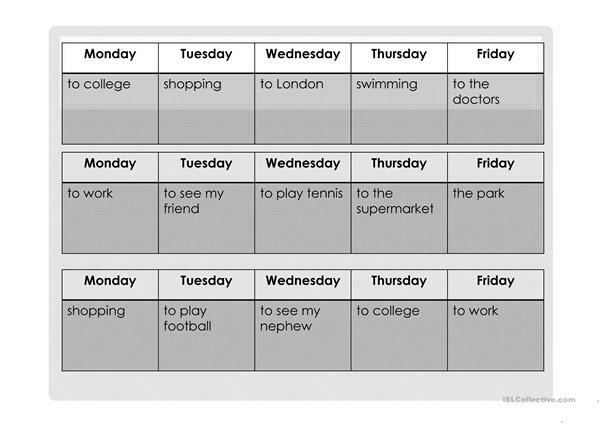 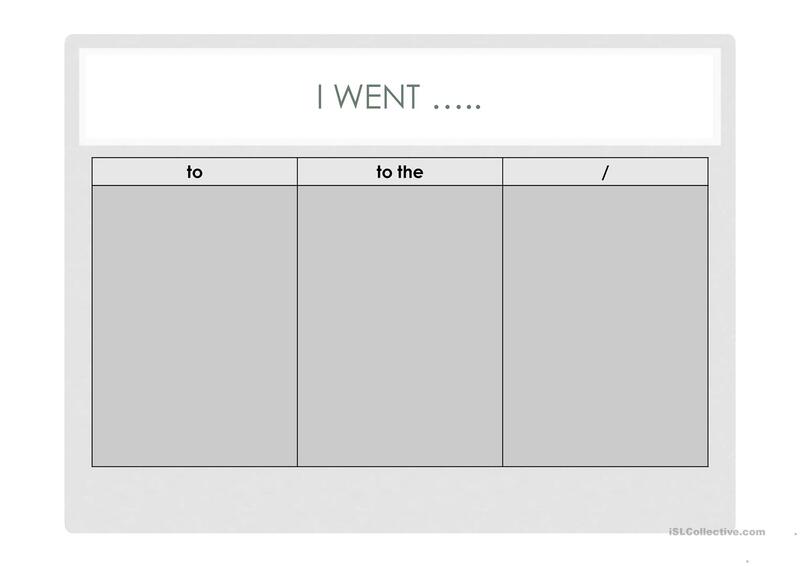 It is a useful material for revising Past simple tense in English, and is excellent for working on your class' Listening, Spelling, Speaking and Writing skills.